Is It Good? 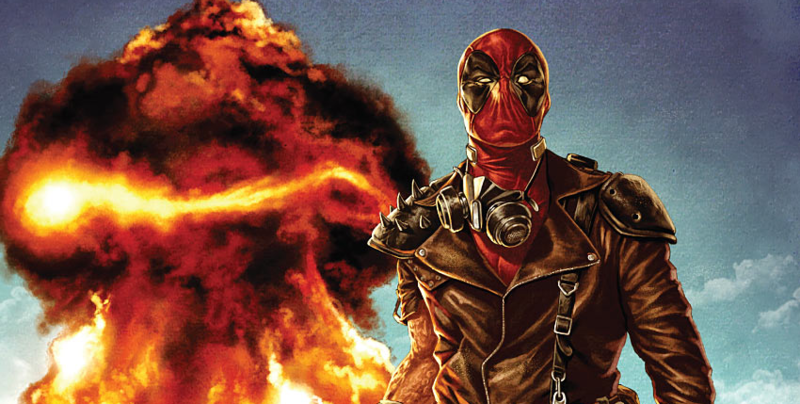 Deadpool #41 Review – AiPT! Deadpool’s been through a lot lately and needs to unwind. So what better way for the guy to mellow than a good ol’ mercenary mission? Deadpool’s in a funk. Dude feels out of place in tranquil suburbia with Agent Preston and his daughter Ellie; he wonders whether his inverse self from the Axis storyline, Zenpool, was “the better guy”; he even feels out of place emboldening satanic acolytes with sultry demon wife Shiklah. Salva Espin has solidified himself as one of my favorite Deadpool artists with the quickness; his style is cartoonier than most we’ve seen helm the title but so commensurately fluid, energetic and full of emotive gestures that you can’t help but indulge. His work evokes the excellent Ed McGuinness, who you might remember from the first Deadpool ongoing, as Espin can seamlessly incorporate more detailed figures, shading and perspective to certain panels — especially evident in his crazy good Shiklah. It’s a shame that Posehn and Duggan’s run is coming to a close soon, but we should be thankful that they’re bringing stuff to the table overall that could rival Joe Kelly’s when all is said and done.